As the economy recovers, will your employees want to stick around? Learn from the examples set by Patagonia, Google and Zappos. As the economy continues to recover and the job market begins to bounce back, companies with strong and supportive cultures are likely to be the ones leading the way in attracting and retaining top talent. So how do you create an atmosphere in your business that the best and the brightest will want to join -- and stay? Consider the examples set by Patagonia, Google and Zappos -- three of the most well-known culture-driven companies around. Patagonia Inc., based in Ventura, Calif., attracts outdoorsy types with its athletic clothing brand and laser-like focus on work-life balance. Time away from the office isn't just tolerated here, it's required, says Rob BonDurant, Patagonia's vice president of marketing and de facto culture guide. Patagonia's 1,300 employees enjoy what the company calls "Let My People Go Surfing" time -- a period during any work day where employees can head outdoors to get their creative juices flowing. Of course, they can’t abandon their duties or ditch a meeting, but popping out for an impromptu climb or bike ride is encouraged. Patagonia's flex-time policies -- which originated from Yvon Chouinard, an outdoor enthusiast who founded the company in 1974 -- are good for employee morale and invaluable to the company, which projects $400 million in revenue in 2011, up from $333 million last year. "The time we spend outside the office helps us manage the storytelling process around our products," says BonDurant, a 10-year Patagonia veteran and an avid mountain climber. "We're designing ski and surfing apparel, we need to be traveling and trying things out." 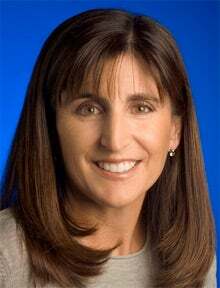 Stacy Sullivan, Chief Culture Officer, Google Inc. The executives at Google say there's much more to its culture than the free, gourmet cafeteria food. The Internet search giant's more than 24,000 employees work within a flat management structure, so there is no vast hierarchy -- and no task too small for anyone to pitch in on, according to Stacy Sullivan, a human-resources director and chief culture officer at the Mountain View, Calif.,-based company. For example, Sullivan says while she helped outline the company's core values, she also pitched in to answer the phones. Even the founders busied themselves with basic tasks such as keeping the cereal in the cafeteria fresh, she says. "They care about those details even today." And that team spirit extends to ideas, which can surface from any employee without being filtered by layers of management. But as the company grew into the $29.32 billion behemoth it is today, so did the cultural challenges, Sullivan says. For instance, how does Google ensure its overseas employees are, as they say, "Googley" enough -- meaning entrepreneurial, scrappy and outside-the-box thinkers -- whose voices will be heard back at headquarters? For one, Sullivan implemented the company's charting tool, the Google-O-Meter, to gauge the popularity of employee suggestions, such as housing more doctors on site or bringing overseas employees to headquarters for a visit. "It wasn't something that we would just go and implement for them," she says. "Their suggestions had to be reflective of things about the culture that [many] people wanted to change." She also established what Google calls "culture clubs," which are groups of employees who get together on their own to talk about cultural or environment issues within their country or office and explore ways they can improve things. "We are really trying to keep our efforts and ideas employee driven." 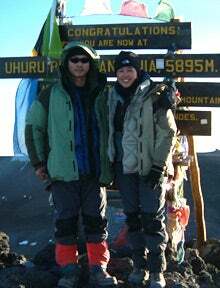 Zappos CEO Tony Hsieh with the company's culture consultant, Jenn Lim, atop of Mount Kilimanjaro in Tanzania. So what exactly is it about Zappos' culture that stands out? How about the fact that the company's more than 2,700 employees have passed up $4,000 just to work there? After four weeks of training, the online clothing and shoe retailer offers new workers $3,000 to leave. And if they stay but decide later it's not a good fit, Zappos offers them $4,000 to quit. The company says it's a way of ensuring employee buy-in. Even after the Henderson, Nev.,-based ecommerce giant was purchased for $1.2 billion by Amazon in 2009, Zappos still largely maintains its autonomy -- and its focus on keeping employees happy. For instance, self-described "Zapponians" can access 41 on-site classes ranging from the "science of happiness" to "using your superpowers." Zappos amassed its cultural cred, in part thanks to Jenn Lim, Zappos CEO Tony Hsieh's cultural consultant and longtime confidant, who climbed Mount Kilimanjaro in Tanzania with Hsieh in 2001. Lim played a leading role in the initial brainstorming session in Las Vegas that gave rise the company's Culture Book. "At the time, they were just deciding on their core values," says Lim, who helped Hsieh refine the idea of asking Zappos' employees to define the company's culture. Each year since, employees will submit a few paragraphs about what Zappos means to them, for inclusion in the book. The company ships the book anywhere in the world for free, upon request. "Knowing that the culture priority at Zappos is even higher than customer service, Zappos' success makes perfect sense," says Lim. "If you get the culture right, then the rest just falls into place."